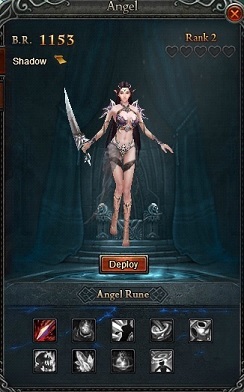 Once opened, you will have 2 Angels: Shadow and Celeste. You can unlock all these skills through Augment. Rank up to activate numerous advantages! 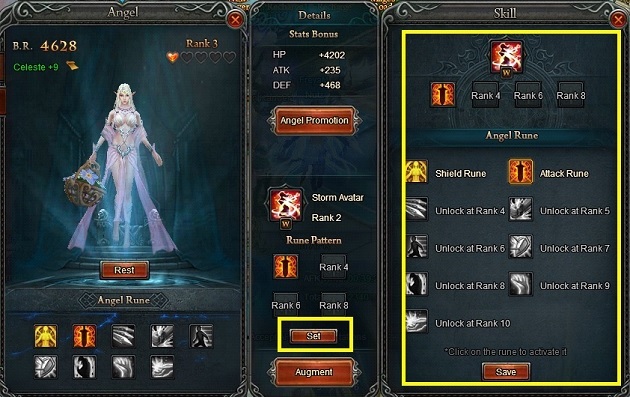 Also the skills that you activate, you can use up to 4 in the same time. 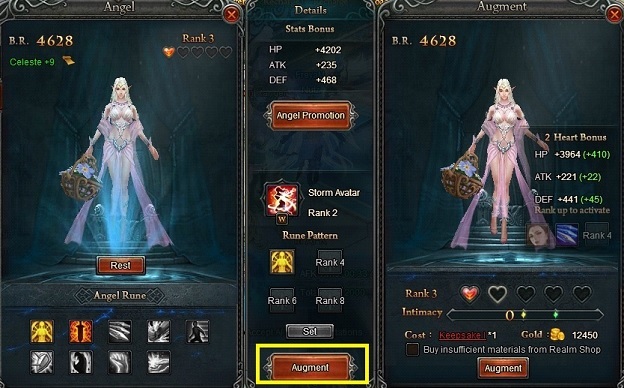 All you have to do is to rank up in Augment to Level 4, 6 and 8. The first skill you can use as soon as you unlocked any. 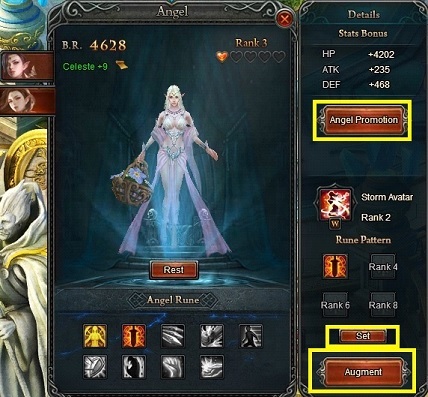 Angel Promotion will give you a great boost and power. 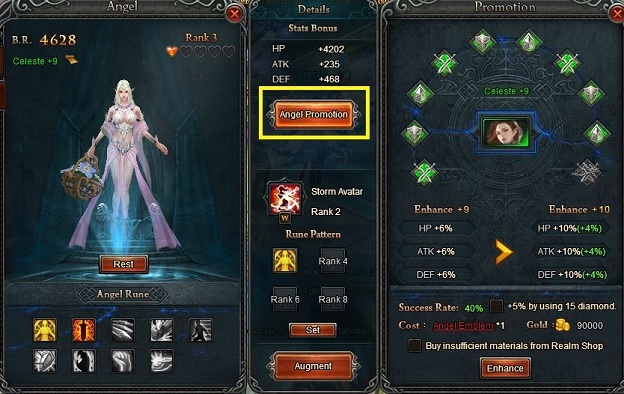 So by enhancing your Angels your stats will improve, such as: HP, ATK, and DEF. When you Enhance, you will have a success rate that will not always be 100%. So you either risk or simply use Diamonds to make sure you will not fail. 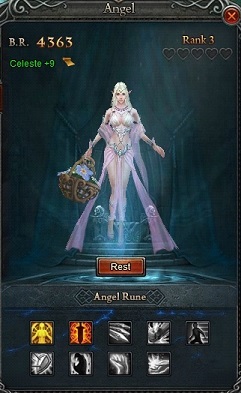 And last, but not the least, Deploy the Angel that you wish to use! Happy hunting!